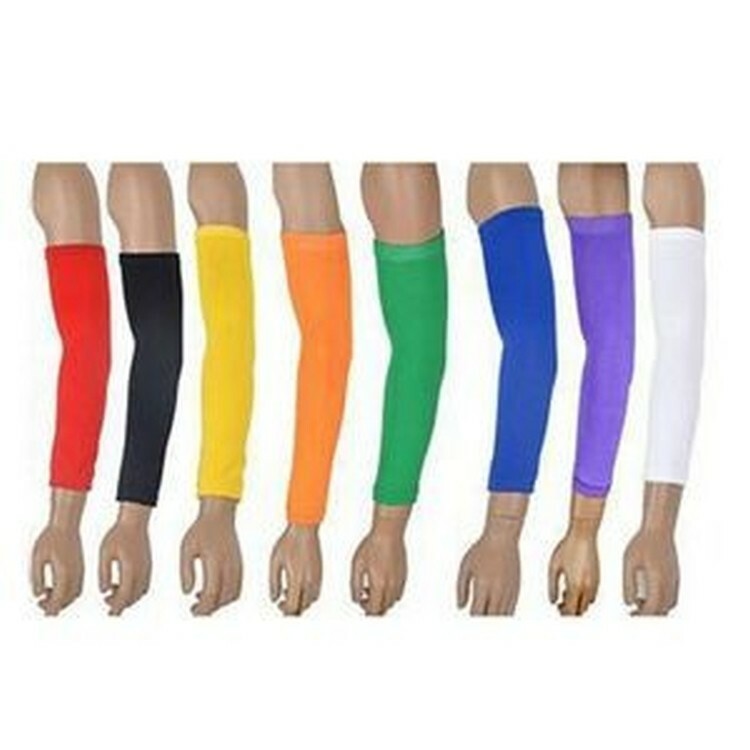 The soft, knit arm warmer is made of cotton and nylon, it stays in place without constricting the arm and is great for a variety of sports activities. Cotton, spandex, elastic material, it stays in place without constricting the arm and great for a variety of sports activities. 17.32 " X 4.13 "